At Treasure Data, we’ve kicked off with a new podcast: The Data Drive. In our series, we survey cutting-edge technologies in the data analytics space, and interview their inventors, contributors, power users and evangelists, with a view to data integrations and analytics. Basho has been at the forefront of “Big Data”, IOT, and the hybrid cloud since their inception in 2008, and heavily leverage their experience in low-latency distributed systems to maintain their position. 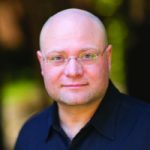 On today’s podcast with Pavel Hardak, Product Manager at Basho, we’ll not only learn about Riak’s products and how they address and incorporate these points – we’ll also learn about how Riak’s KV and TS offerings fit into the data analytics ecosystem as well as how they integrate with other technologies – including Treasure Data.